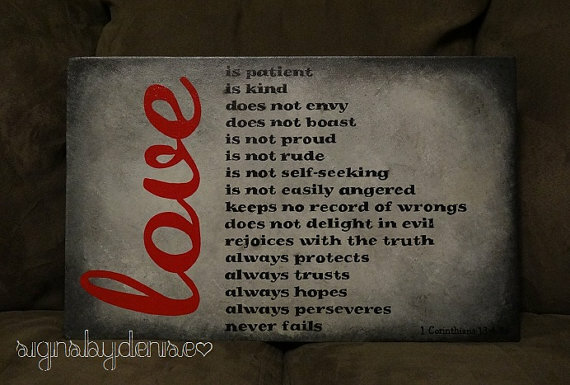 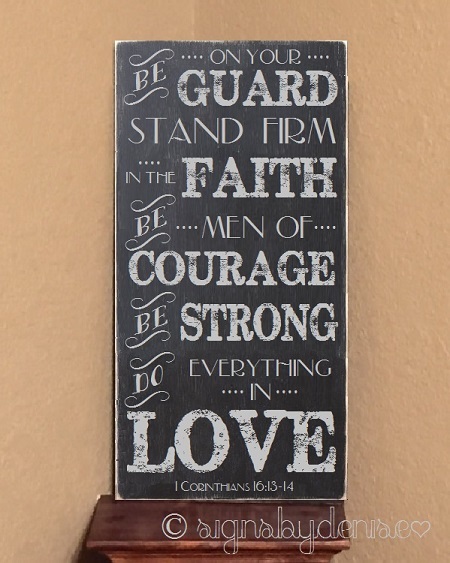 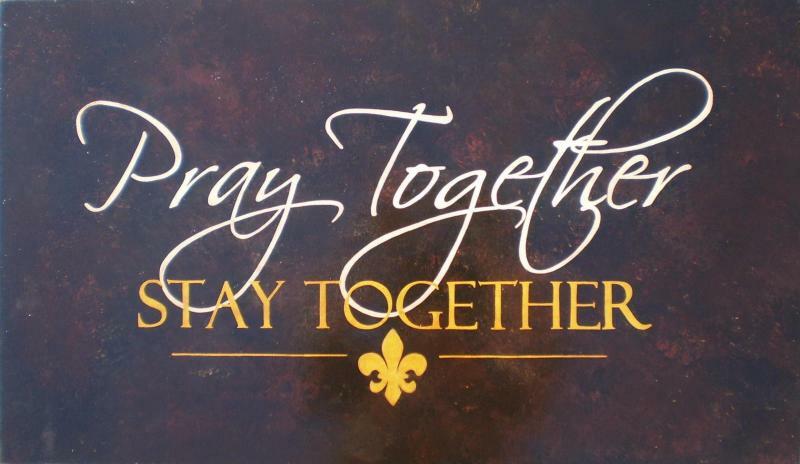 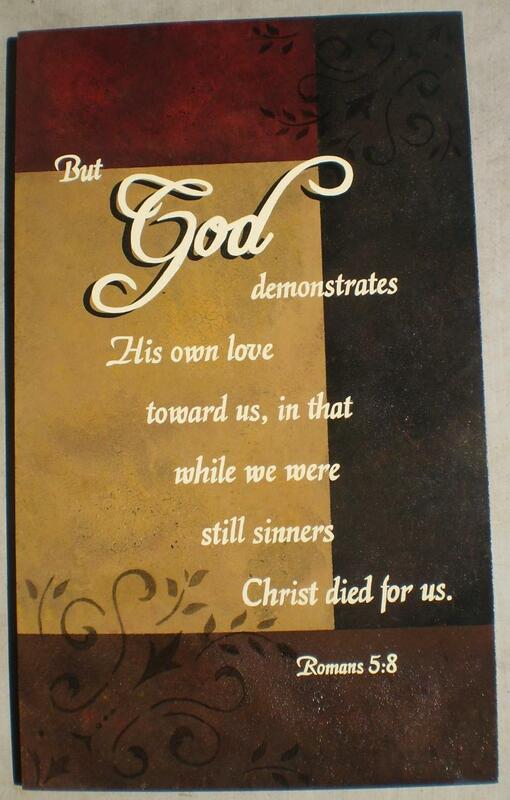 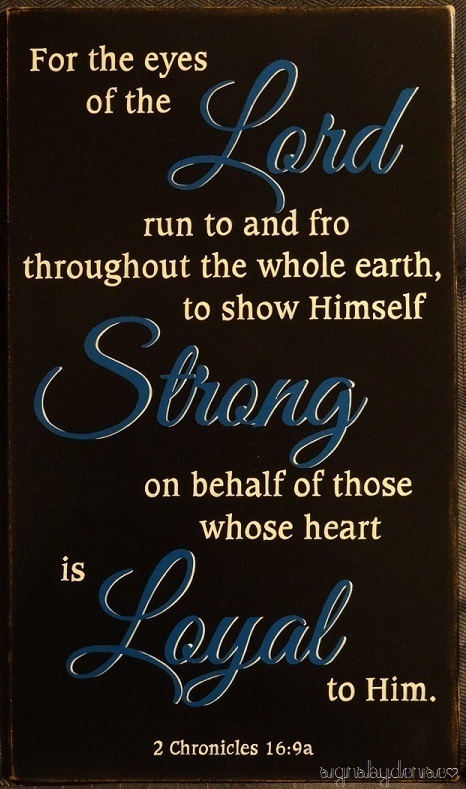 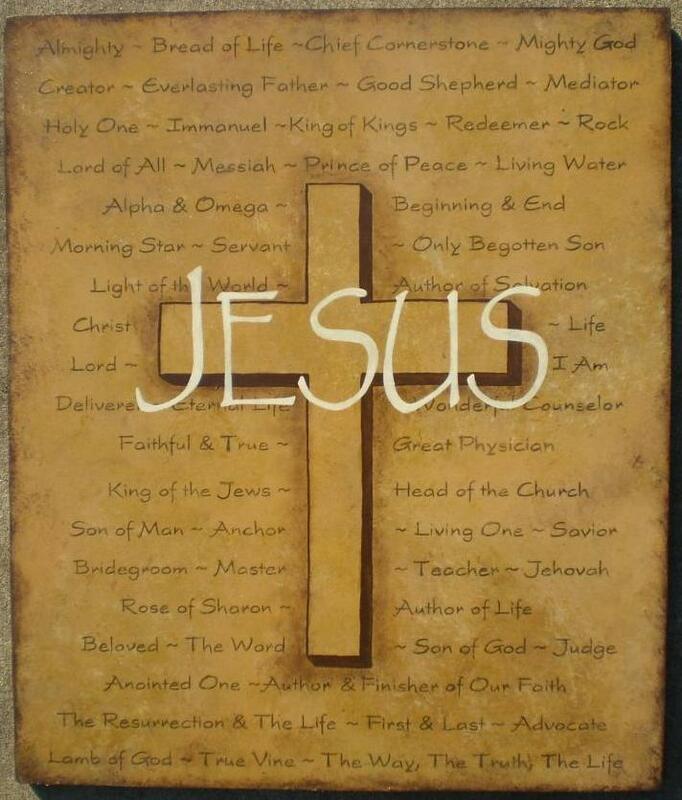 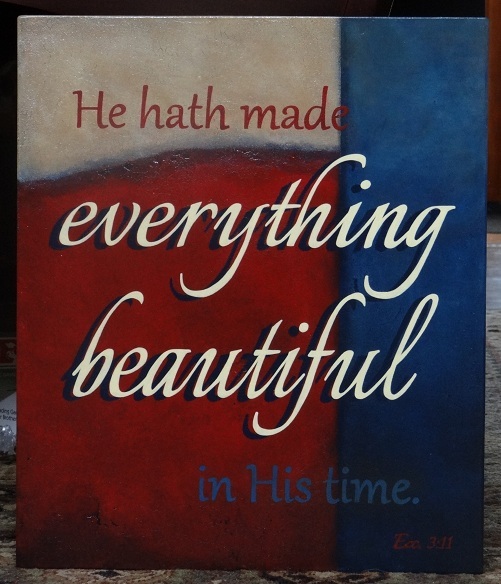 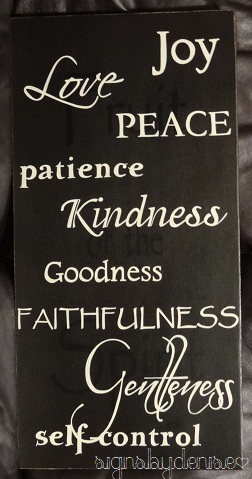 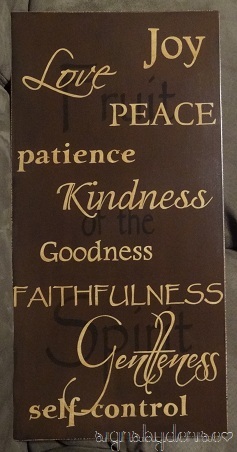 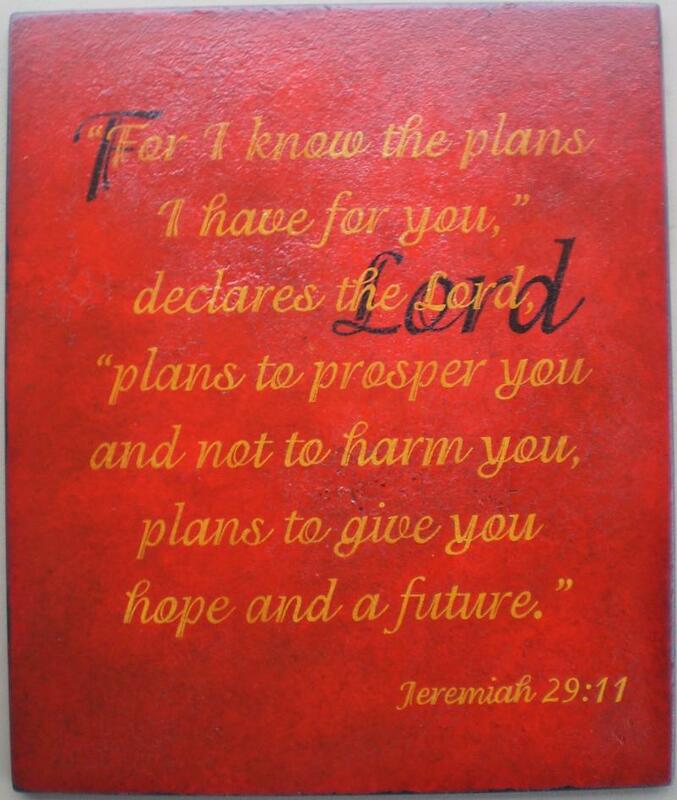 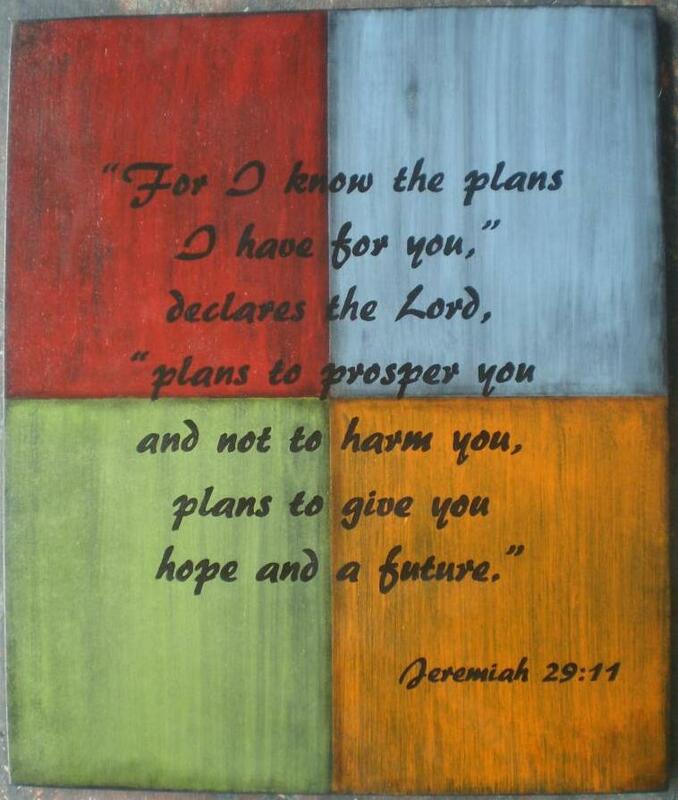 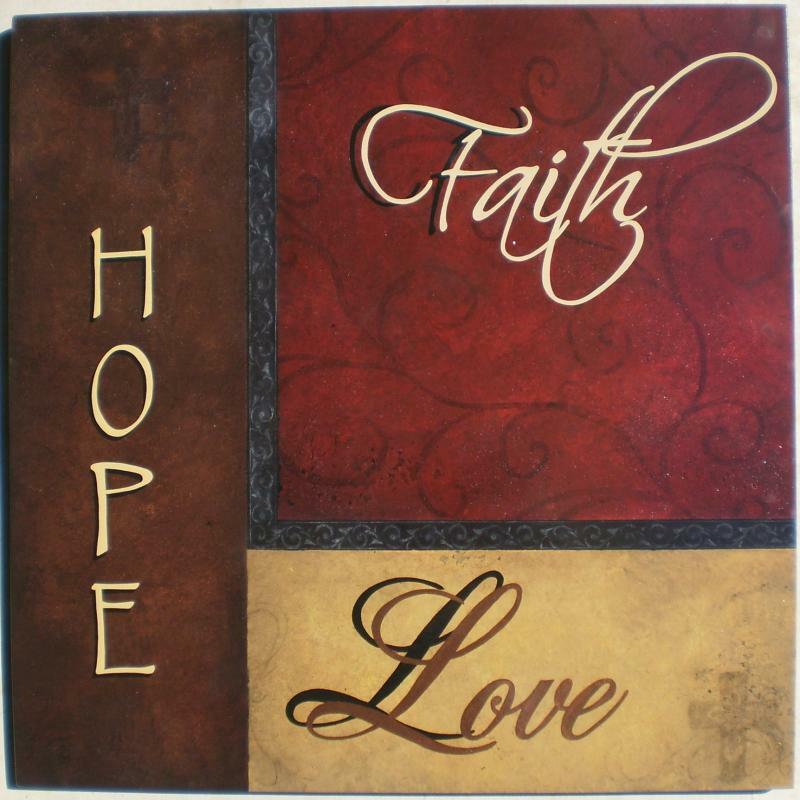 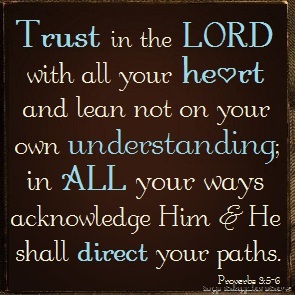 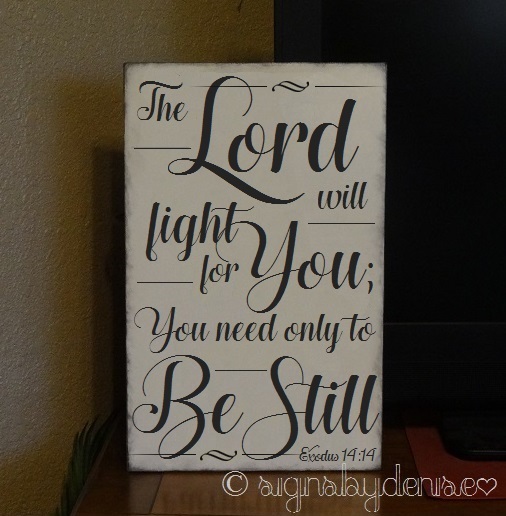 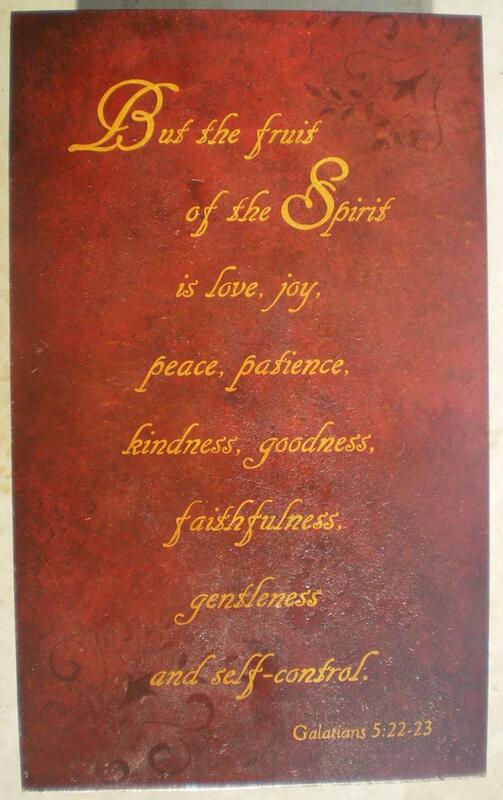 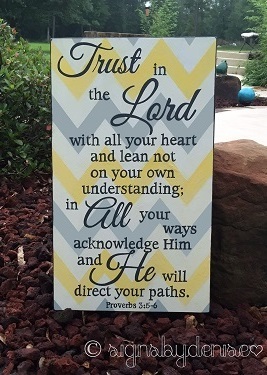 Here are some of the scripture signs I have painted, along with the current prices. 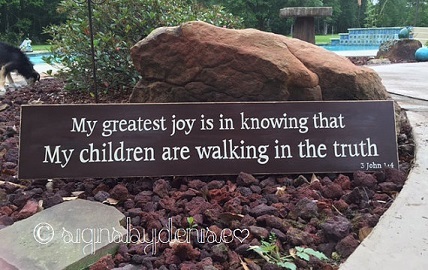 All my signs are handpainted! 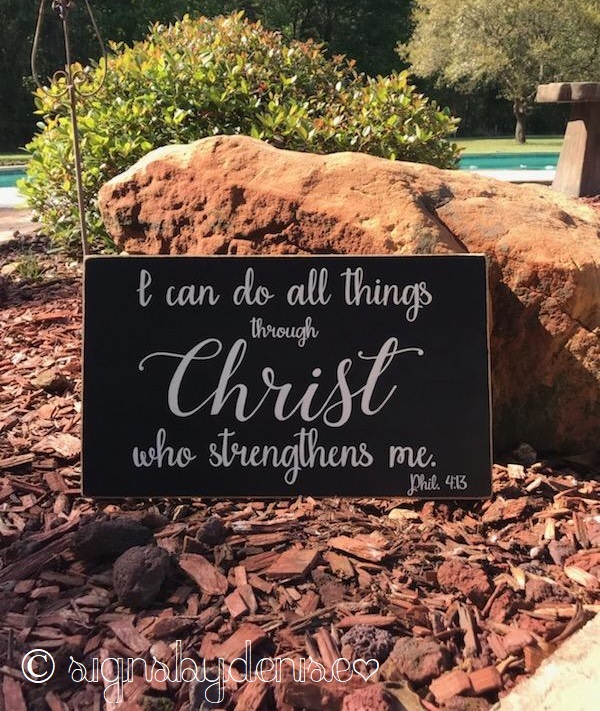 No vinyl lettering! 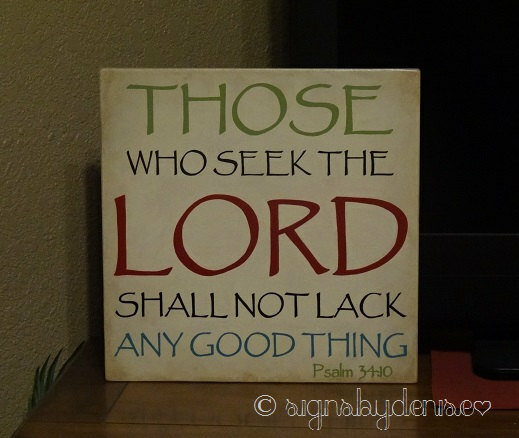 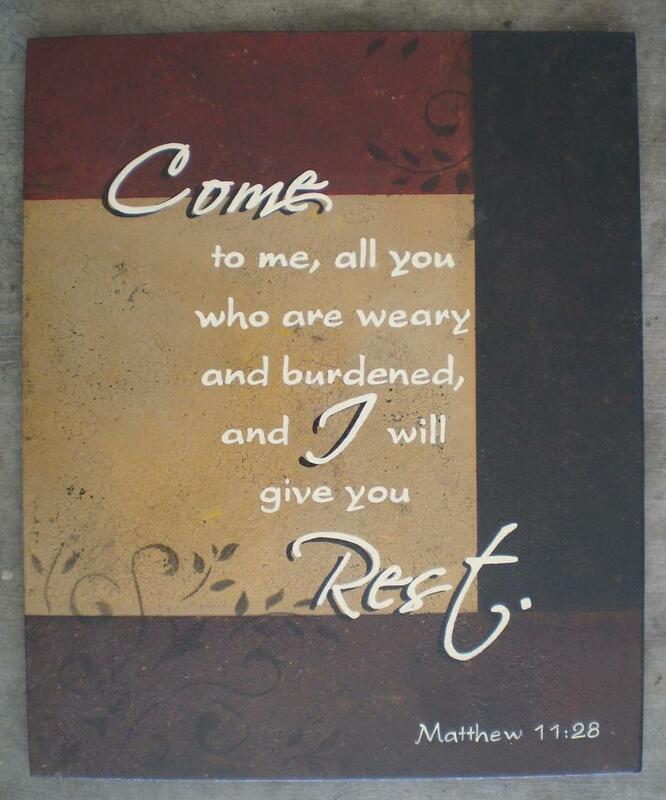 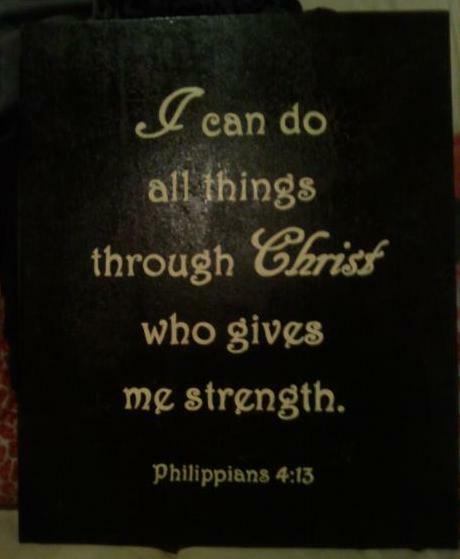 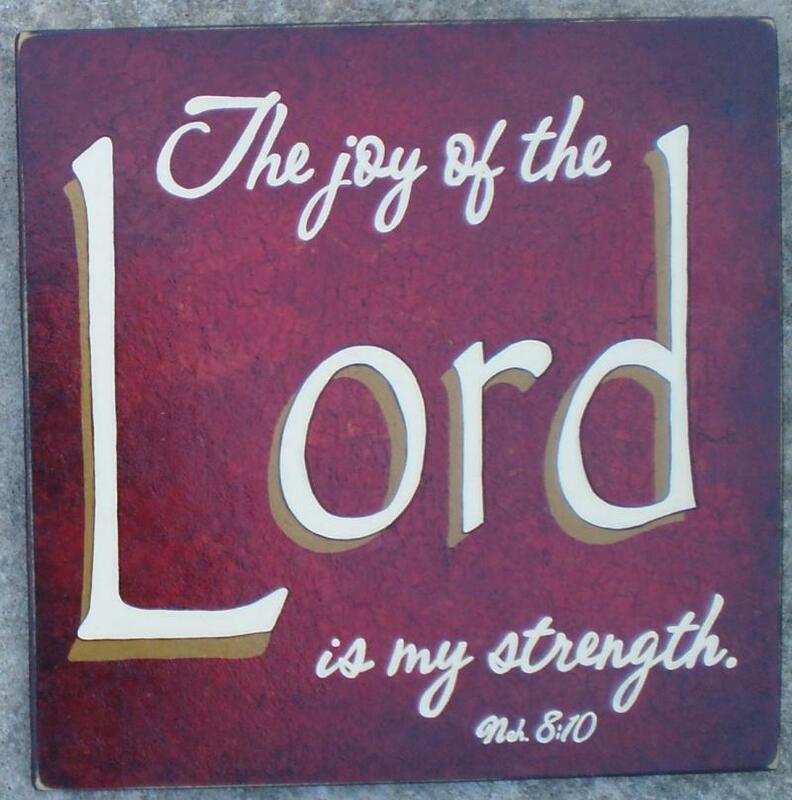 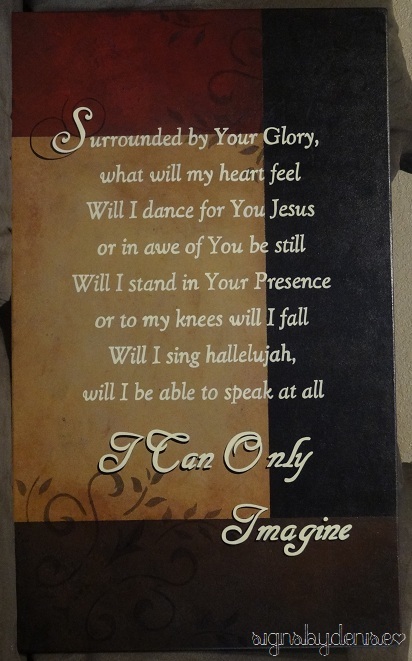 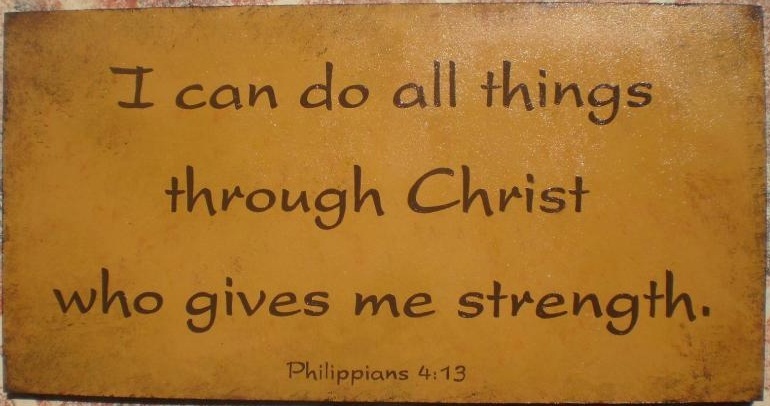 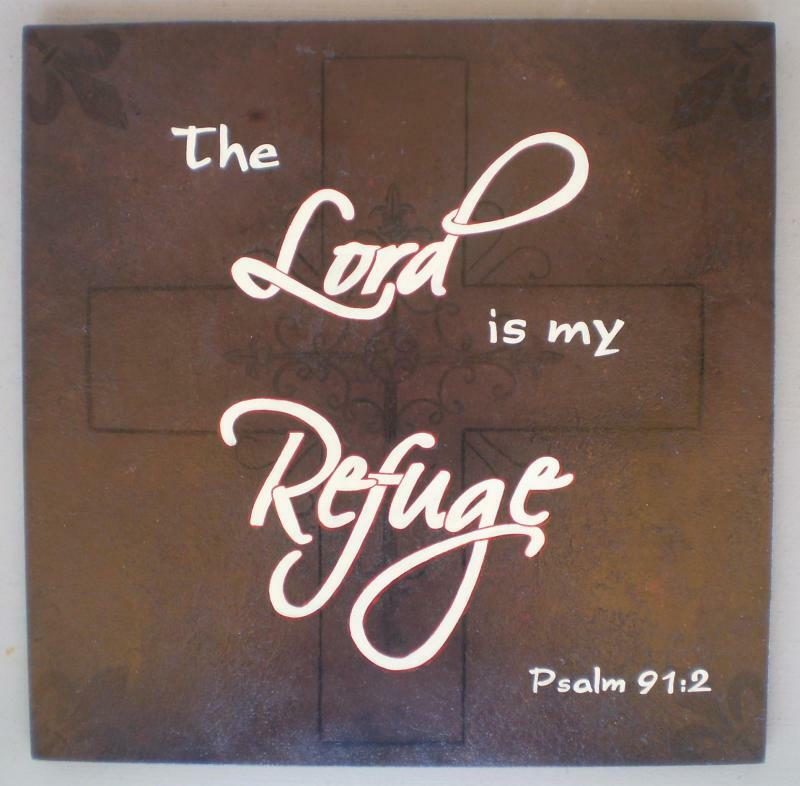 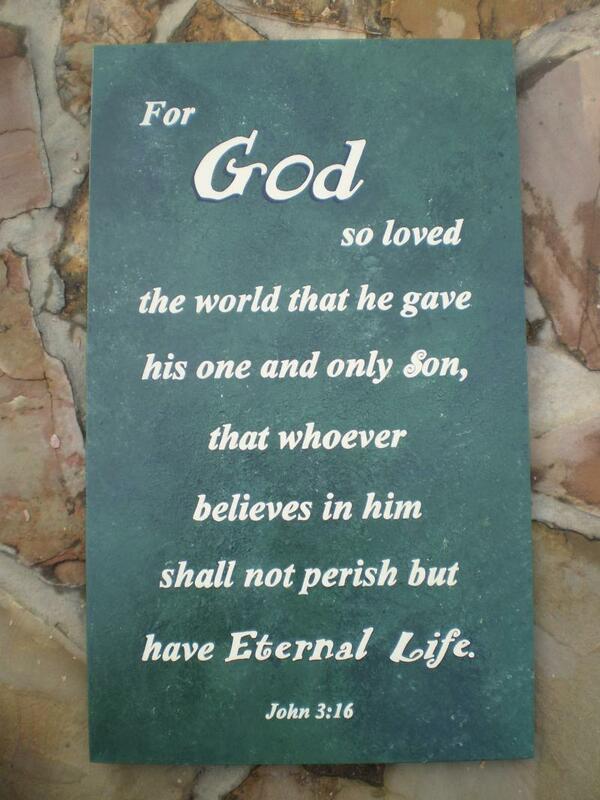 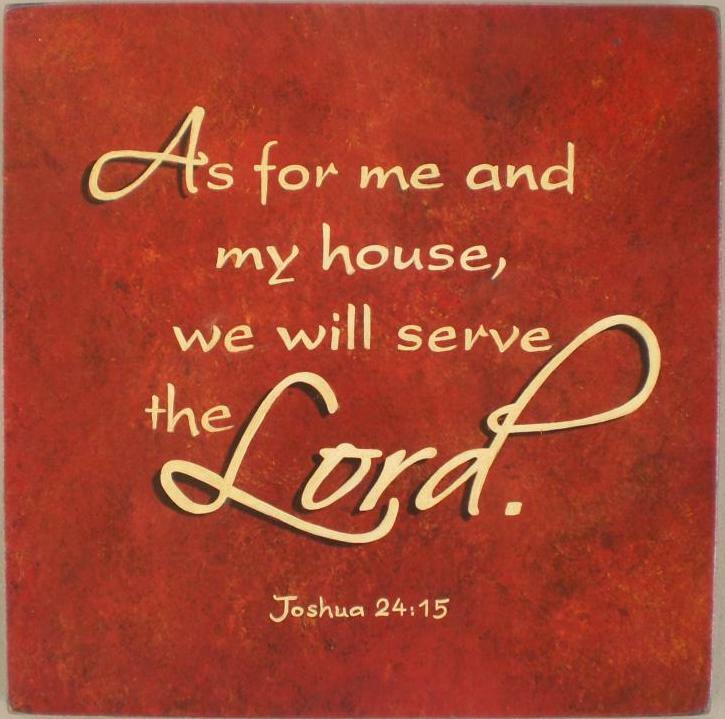 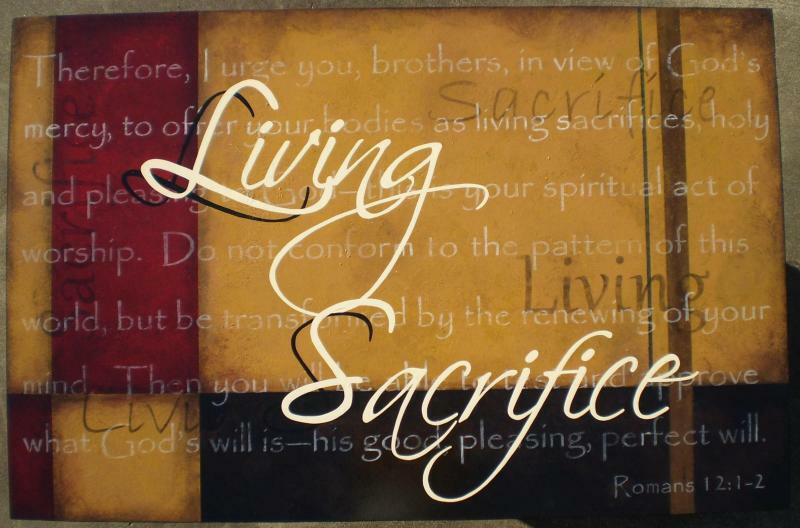 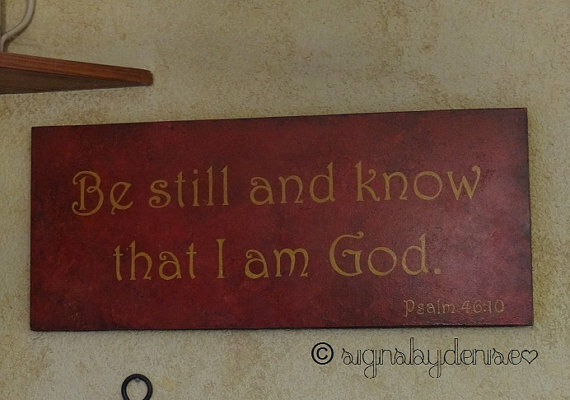 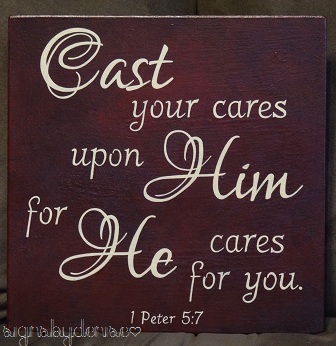 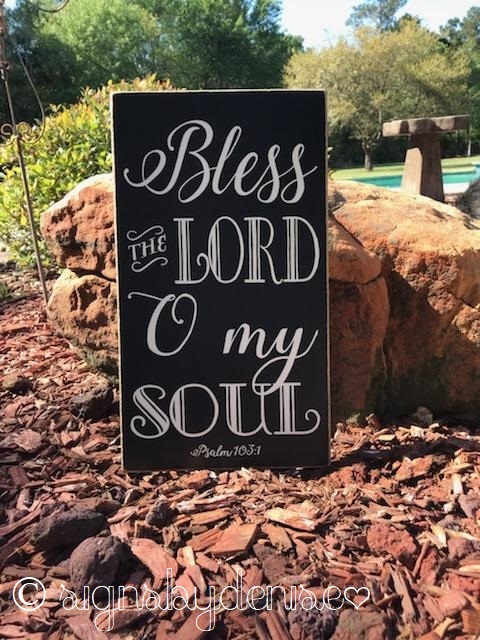 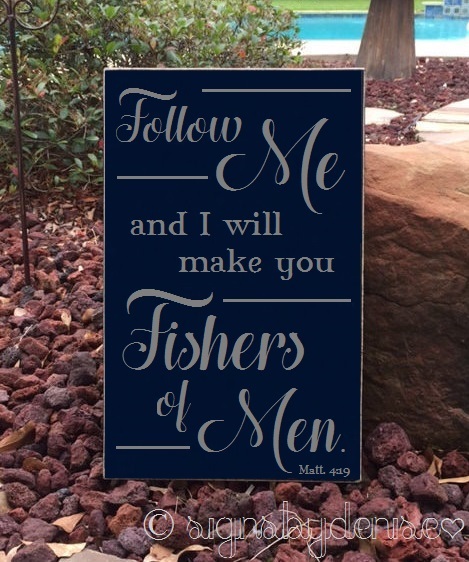 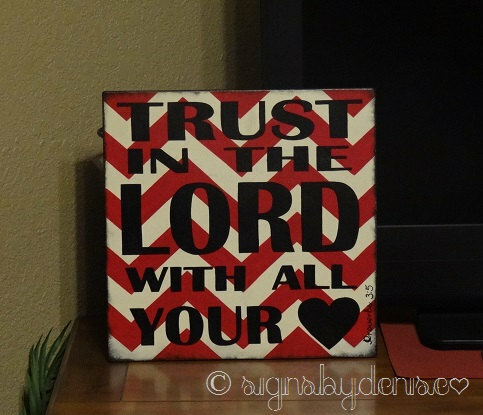 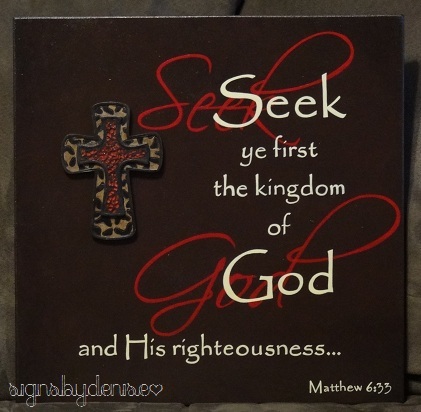 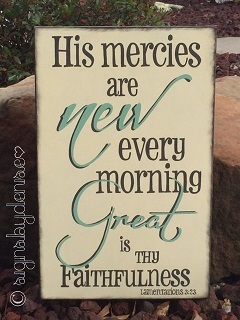 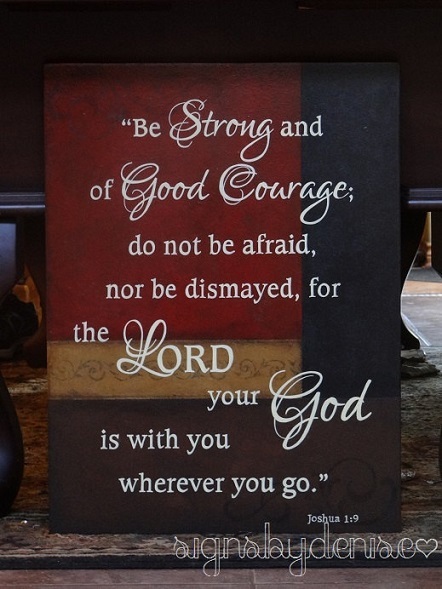 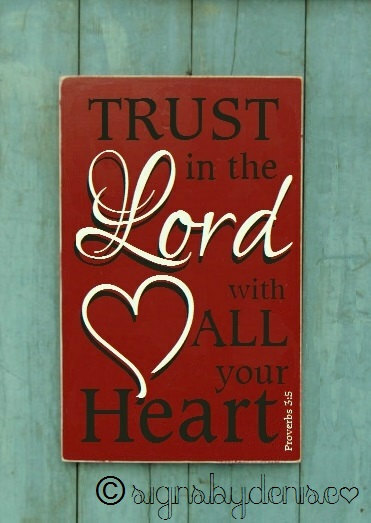 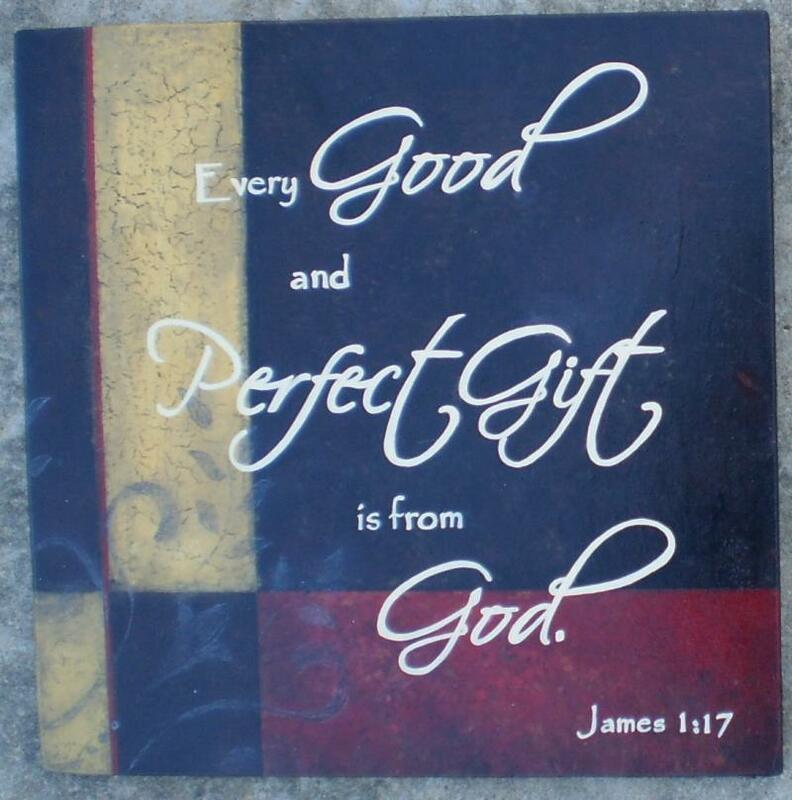 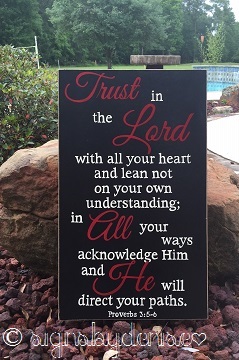 Remember, I can paint your favorite scripture on any size sign with any color. 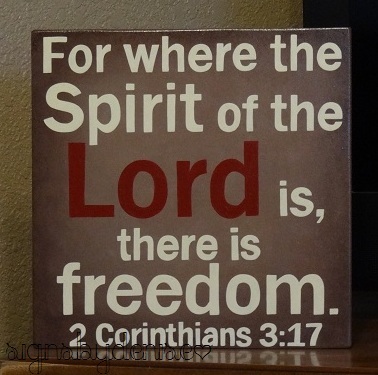 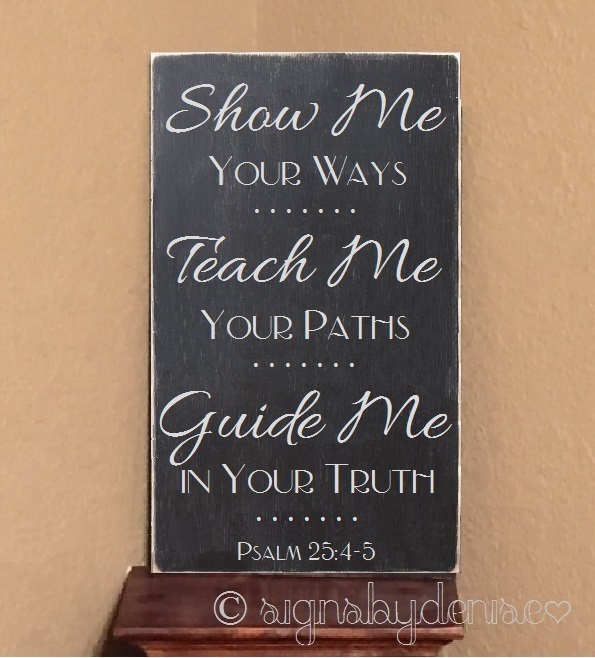 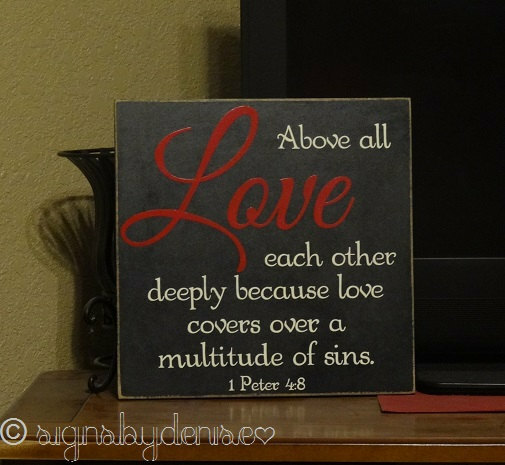 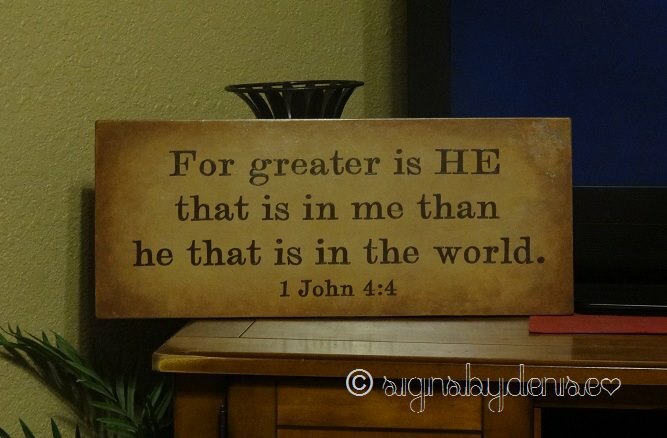 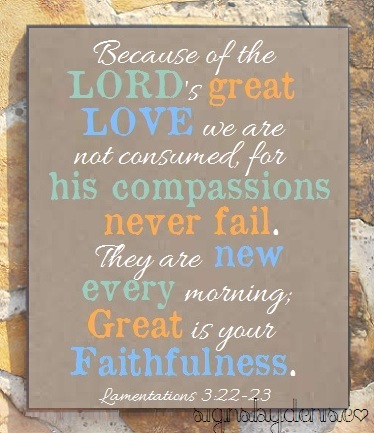 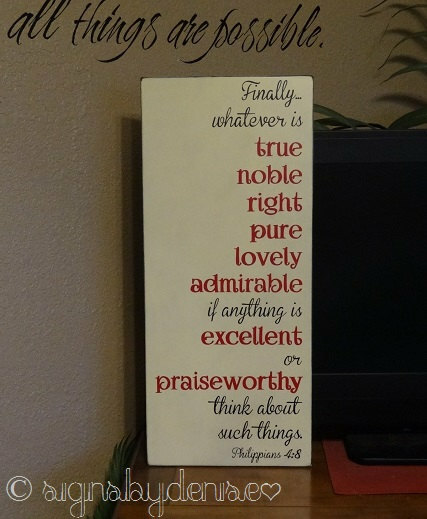 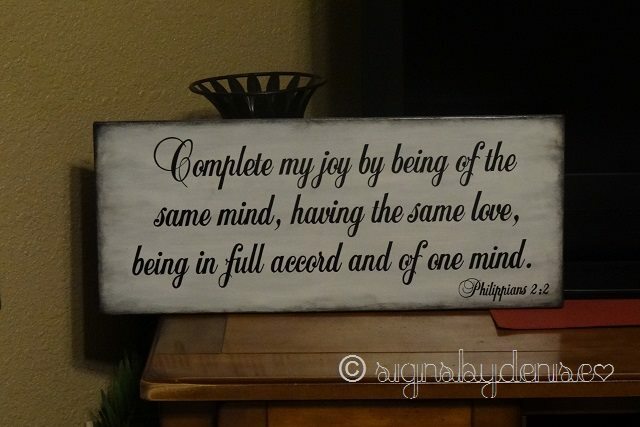 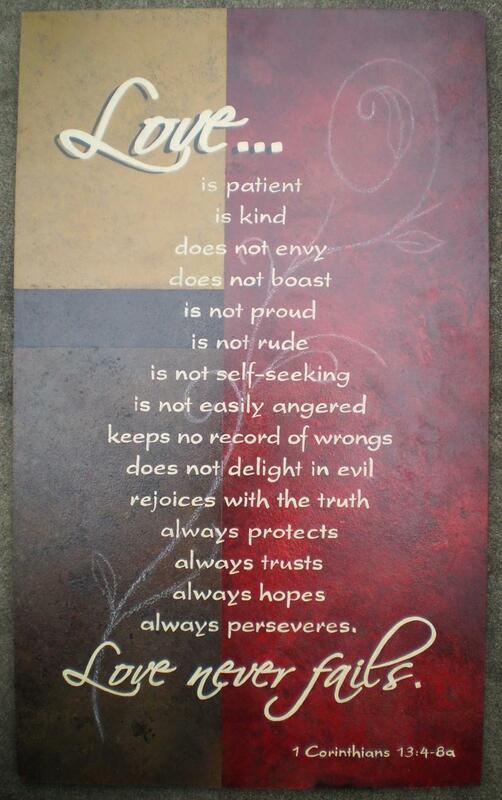 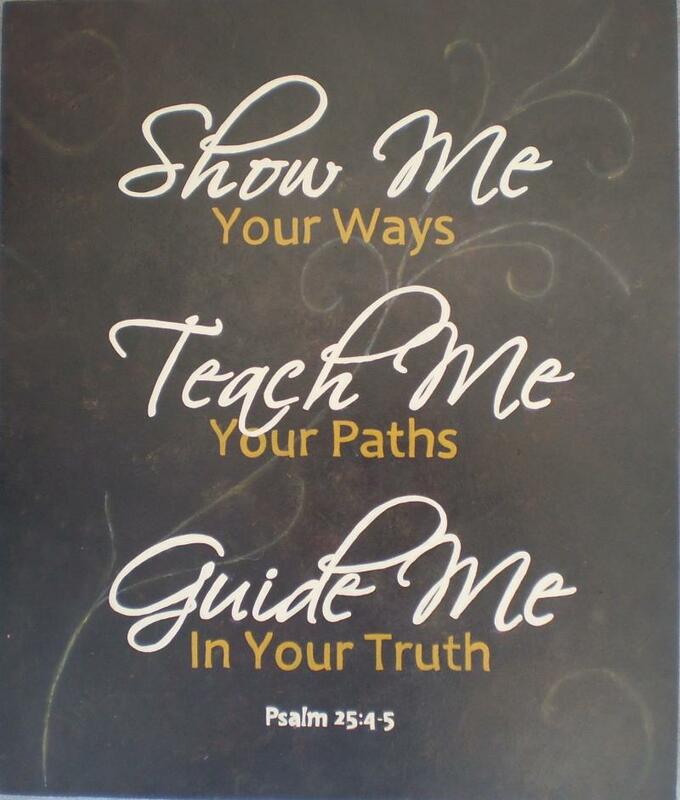 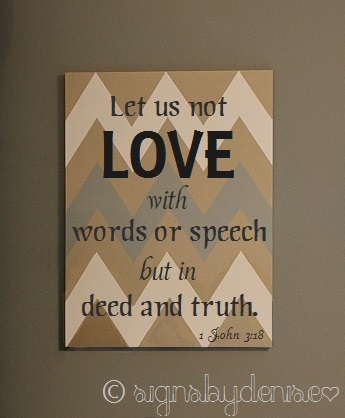 What a wonderful way to fill your home with God's Truth! 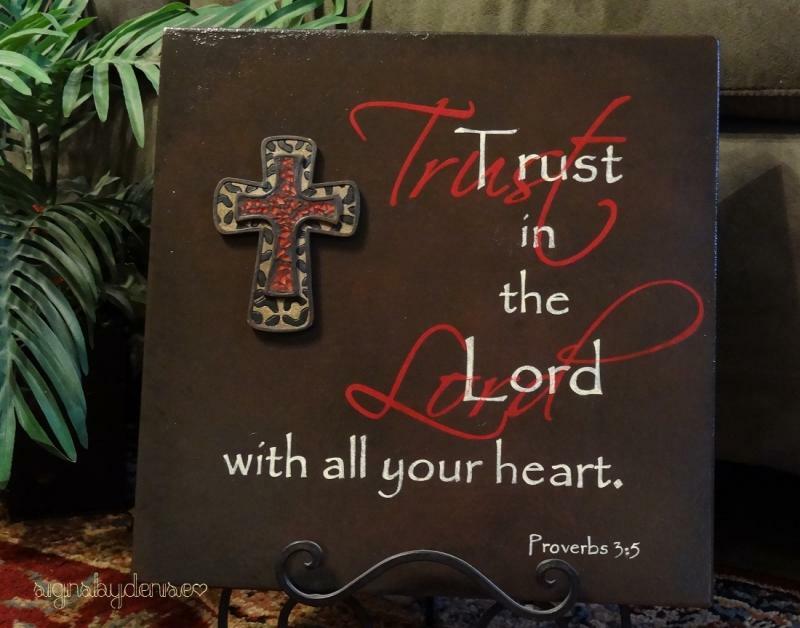 Crosses may be added to any sign for an additional price...$3/Sm, $5/Med, $10/Lrg. 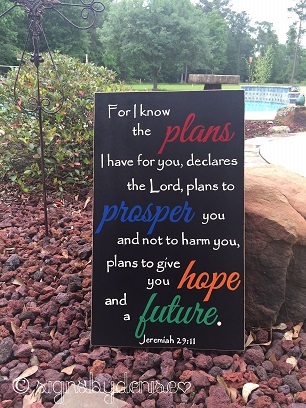 Please contact me or email me if you have any questions regarding any of these signs or for more information about a custom sign for you! 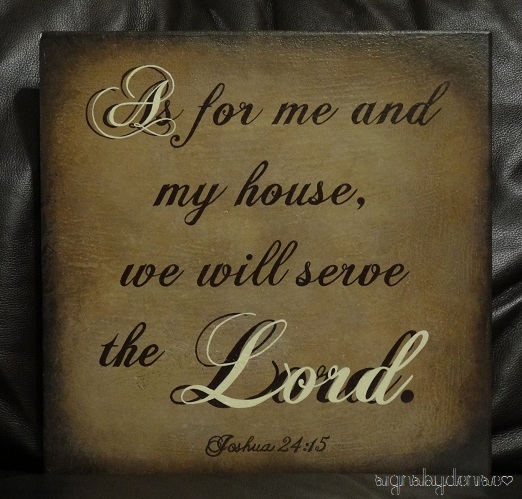 Payments can be made by check (made payable to Denise Truncale), cash or PayPal Email Invoicing.